The latest miniatures for Star Wars Imperial Assault are the Rebel Smuggler and the Bantha Rider. It took me a long time to paint these miniatures: the Bantha because it's such a huge miniature, and the Rebel Smuggler because he's filled with so much detail. Apparently smuggling requires a great deal of buckling, cabling, tubing, padding, quilting and layering. 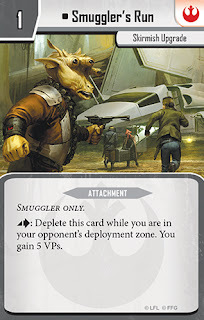 I continue to have a love/hate relationship with Fantasy Flight Games' approach to rendering the Star Wars universe in miniature. The love part is easy: Imperial Assault is a fun game and the quality of the miniature sculpting is generally excellent. To take just one example, the Rebel Smuggler is in a dynamic pose, with lots of tension and energy. Although he's not an established character, he still has a recognizable Star Wars feeling to him. But on the other hand, as a miniature painter and collector, Imperial Assault provides a somewhat unsatisfying experience. As I've noted before, the miniatures are rendered in a soft plastic that bends -- especially lightsabers, rifle barrels and large bases. I also find their pace of releasing miniatures to be maddening: after a year and a half on the market, the game has only 47 different sculptures. None of the major characters have alternative poses. And because of the time frame of the game (between A New Hope and The Empire Strikes Back) we may never see certain iconic characters like Obiwan or Grand Moff Tarkin. By way of contrast, when Games Workshop had the license for The Lord of the Rings for just one year between 1985 and 1986, they produced 190 individual sculpts, including dozens of variants. The result is that I feel like I've got a great boardgame with excellent components -- but still no proper Star Wars wargame that let's the hobbyist in me get truly creative. 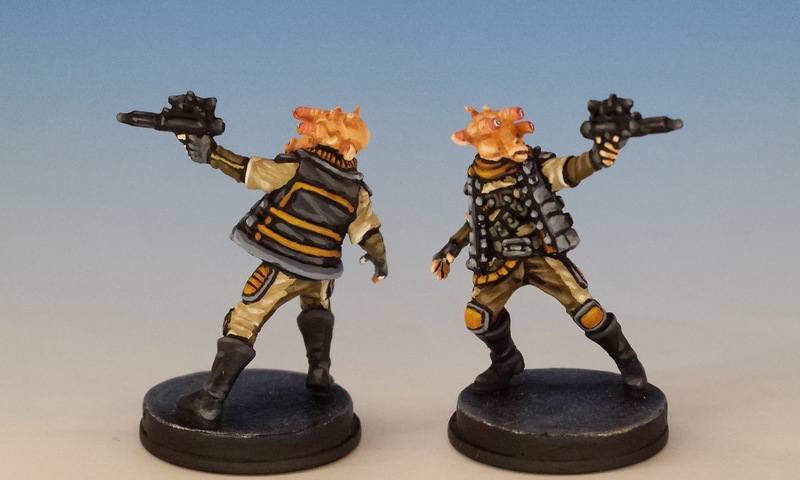 Well, I continue to try to expand the range of Star Wars miniatures in my own way -- by cutting off the heads of existing sculptures and substituting new ones. Here we see my tri-ocular Gran Rebel Scout. Speaking of conversions, thanks to everyone who helped to bid up the charity auction for Darth Vader. Congratulations to Mr. P.D. of Austria who won the auction! And if you're a fan of Imperial Assault, don't forget to check out boardwars.eu, who do an excellent podcast about the game every two weeks. WoooW beatiful work! the Bantha is huuuge! Great job and most impressive Bantha ! Lovely work! The bantha looks so natural, and I love your palette for the smugglers. Very good. The bantha and the smuggler look fantastic! Where did you get the head you used for the smuggler? I use heads from the old WOTC Star Wars range. They're cheap on eBay and very easy to model with. Excellent work, I love them all! Thanks guys! I'm glad you like them! Your figures always come out so amazing - I really like how you do everyone's eyes, I always find eyes so hard to do. The eyes on the alien look great! 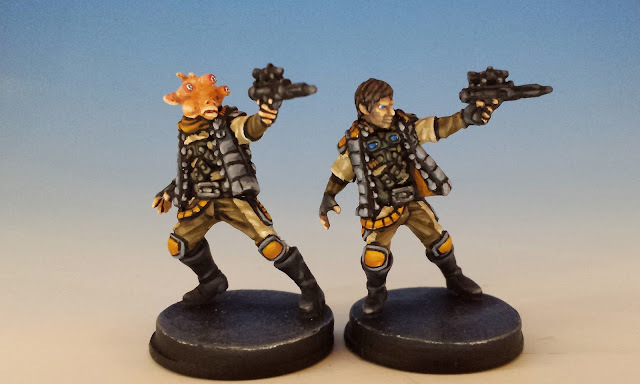 Fantastic paintwork on these figures! 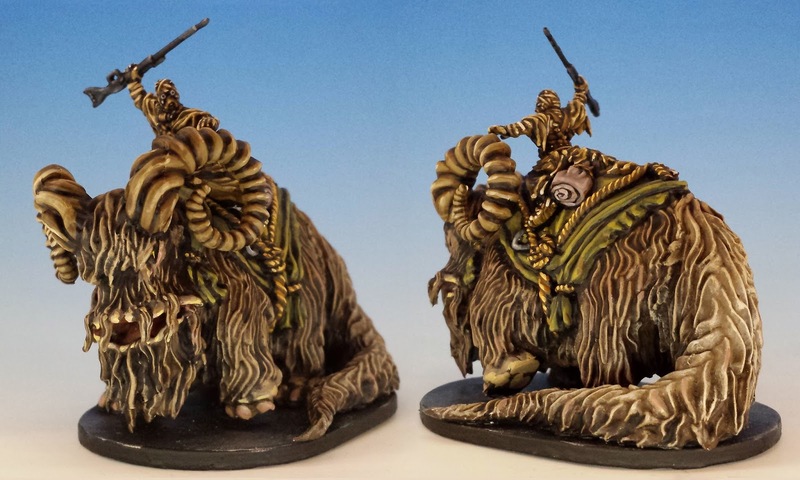 The Bantha and his rider are top quality!